The centres are organized as long lines of narrow, no-frills stalls, each operated by a different vendor, each with their own specialties and styles. 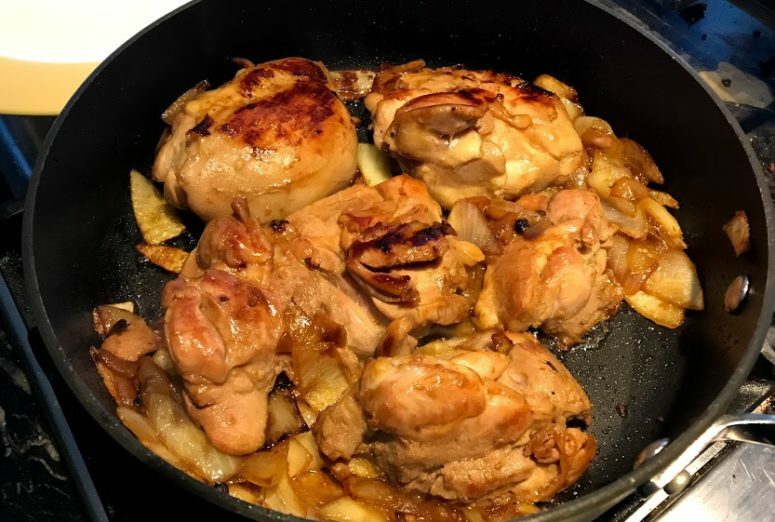 Although the cuisines tend to be dominated by the ethnicity of the surrounding neighborhood, it’s still a grab-bag of curries, dumplings, soups, hot pots, noodles, satay, fruit juices, and everything else that’s taken root in this culinary crossroads. 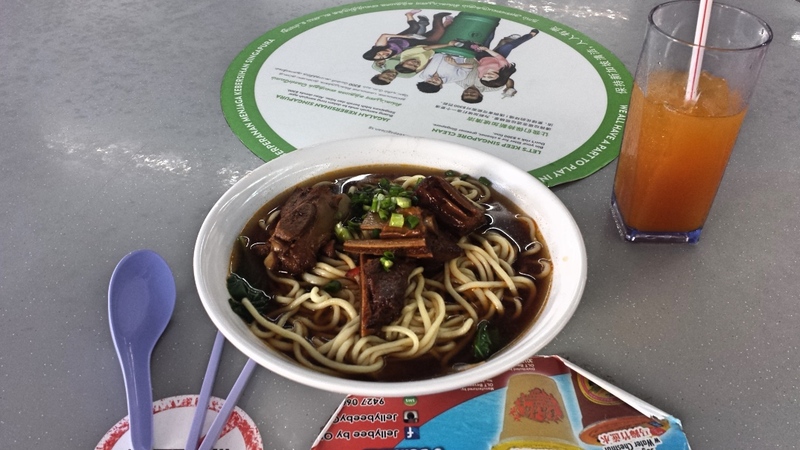 Noodle soup in Singapore. Photo by Mike Borchert. It is a pretty cacophonous experience, being surrounded by boiling, frying, chopping hubbub. Most stalls will have prepped a lot of sauces and spice pastes (I watched a man cook me a Malaysian Laksa noodle soup in 30 seconds that took me 2 hours to prepare from scratch at home), but there’s nothing coming out of a freezer and nothing sitting under a heat lamp. I actually watched the noodles for my braised rib noodle soup start as dough and get pulled and stretched by hand before getting thrown in the pot. You don’t realize how relatively impersonal a restaurant is until you’re standing in the hawker center under assault from the smells and sounds and sights from a hundred different kitchens all at once, all working at a furious pace to keep up with the demand. 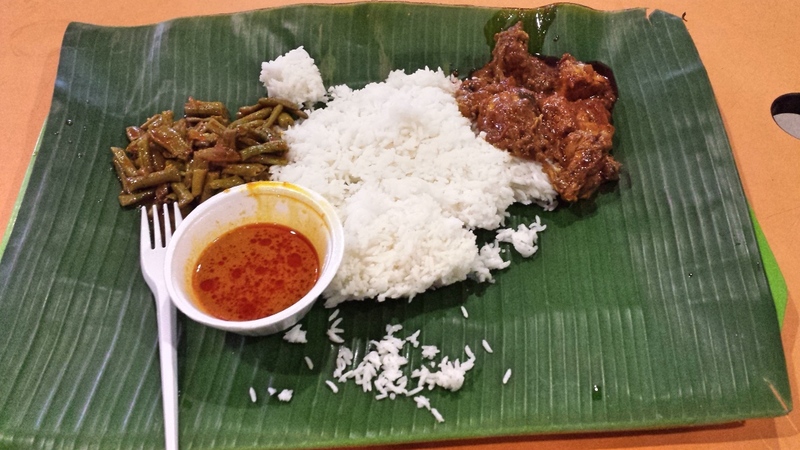 Mutton curry, Singapore. Photo by Mike Borchert. My usual strategy when traveling in a country where I don’t speak the language is to peruse the unfamiliar menu, stroke my chin thoughtfully, and then when the waiter asks me what sounds like a question confidently point at something at random and do my best to pronounce it correctly. It is a strategy that has served me well but has been a bit of an adventure in Singapore as A) there is no waiter, B) I can’t even read any of the prominent non-English languages in Singapore, and C) there seem to be endless options and decisions that aren’t indicated anywhere on the big friendly glowing boards. It doesn’t help that there’s usually a line of increasingly impatient natives behind me, and so far I have not had an opportunity for a long conversation with the proprietor. I expect that understanding the breadth of my options comes with repetition, but while in my current “exploration mode,food-courts” I am generally left with a delicious meal whose name I don’t know. I can live with that. Coffee shop, Singapore. Photo by Mike Borchert. Meals cost somewhere between 3 and 5 USD. 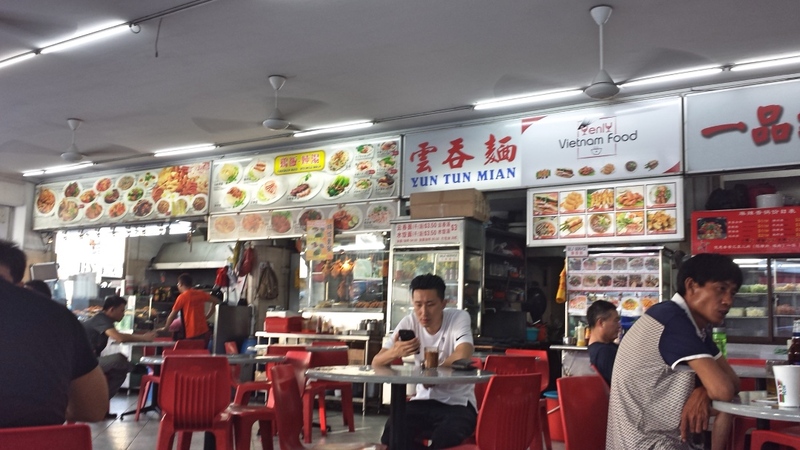 Much of the online literature about the hawker centres tout the $2 dinners, but if they exist I haven’t found them. 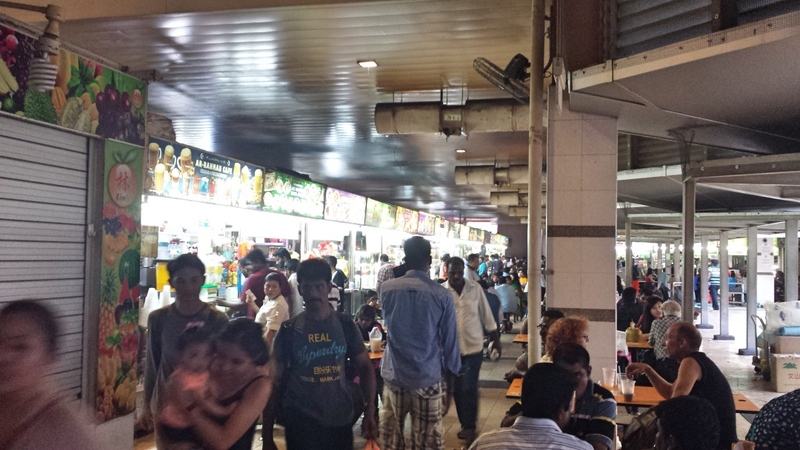 In addition to the government-managed hawker centers the same style of food stall has worked its way across a spectrum of different environments, from street-corner mini-centres with just a handful of stall food courts where you can spend a few dollars more to get a generally less-amazing food experience but with air-conditioning. There are more tourist-friendly centres near popular attractions, and working downtown I have even found corporate-luncheon-friendly centres surrounded by gleaming skyscrapers. 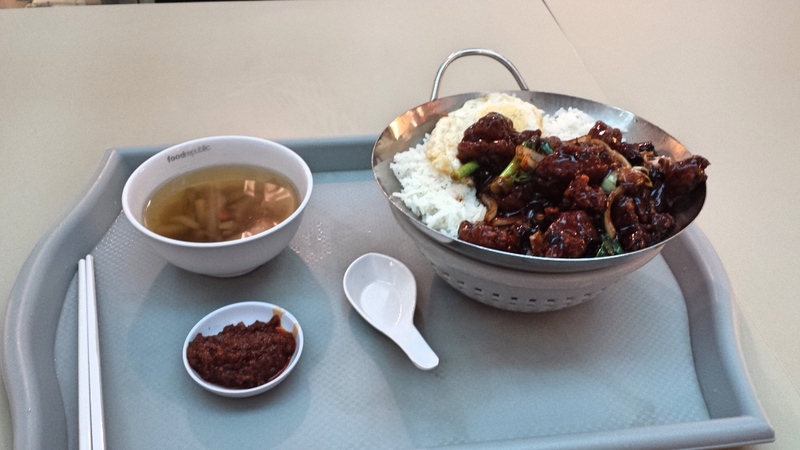 Kung pao chicken, Singapore. Photo by Mike Borchert. Having been in Singapore for a whopping two weeks now, hawker centres already have gone from being exotic and mildly threatening to a familiar part of life. 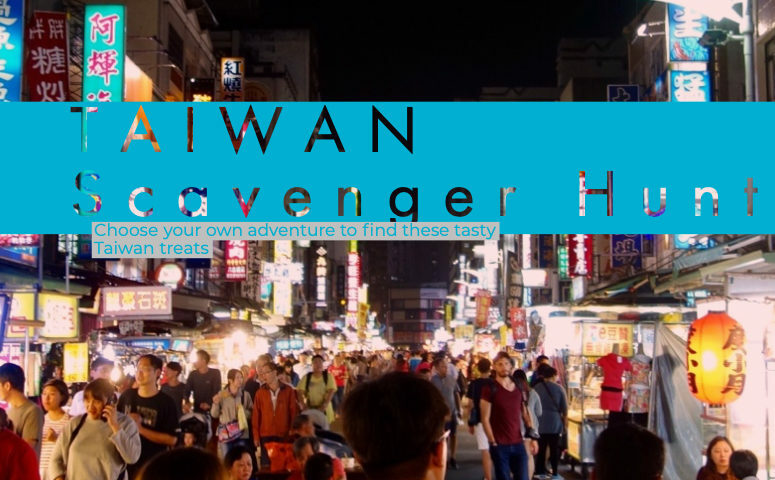 There’s still a lot of exploration to do (like how do you get dinner at a hawker centre with kids? ), but really that’s half the fun. Lessons Learned: Whenever you are asked by a food hawker something that sounds like a yes-or-no question, the answer is “yes”. Guest post by Michael Borchert. 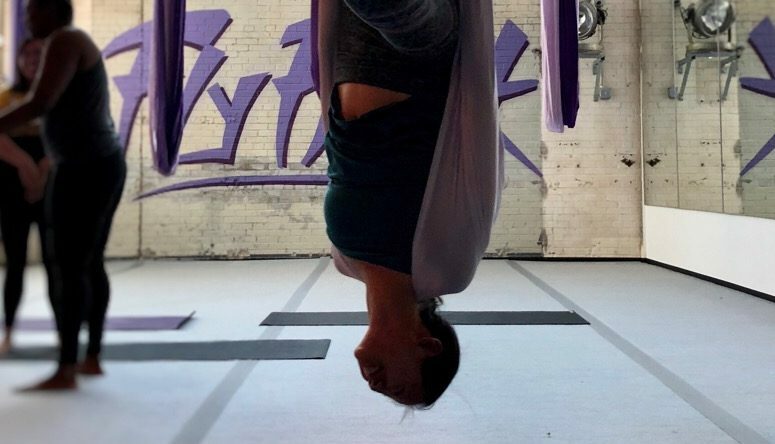 In the timeless tradition of picking up and moving to the literal other side of the planet to seek adventure and fortune, Michael Borchert and his family are Minneapolitans who have decided to relocate to Singapore for a few years on the hunt for new experiences and multicultural perspectives. Their discoveries and color commentary can be found on their blog Singaborcherts. P.S. 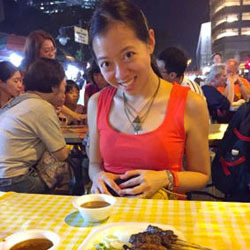 Yes, the profile pic for this blog is of me, about to eat some meat skewers from Singapore’s Lau Pa Sat Festival Market. Look how happy I am to eat! 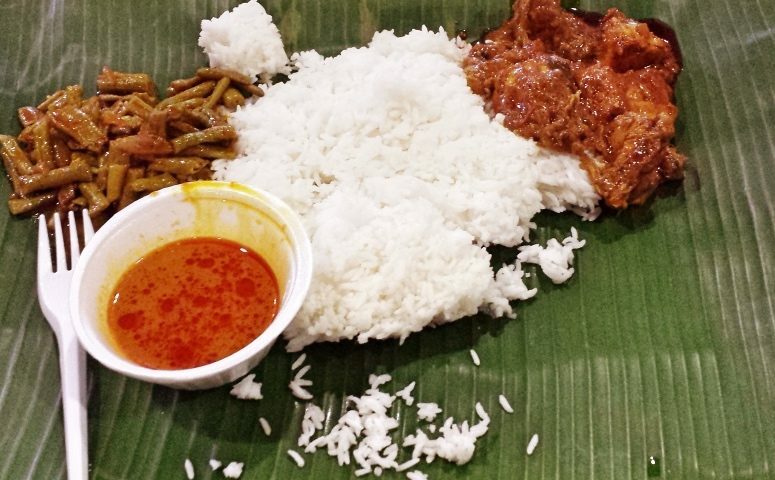 Singapore is near and dear to my heart for its’ people’s clear love of good food and multicultural mashup visually similar to my household. I was thrilled that Mike agreed to share a taste of the experience here. Thanks, Mike!